Ambassadors are "taking accurate stock". Foreign Minister Pavlo Klimkin has instructed Ukraine's ambassadors in Europe to look for Russian Gazprom's local assets as Kyiv is preparing to charge the Russian company's debt to the Ukrainian oil and gas company Naftogaz Ukrayiny. "If Russia fails to honour [the debt], we will go to court – in New York, in London, in all the countries. I have already instructed our ambassadors to look for Gazprom's assets all over Europe. 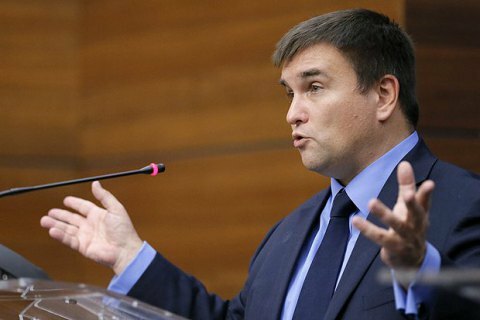 They are taking accurate stock," Klimkin told journalists, according to UNIAN. On 28 February, the Stockholm arbitration court partly upheld Naftogaz's demands in its dispute with Gazprom and ruled that the Russian company should pay it 4.63bn dollars for gas it failed to supply under the transit agreement (the court ruled that the Russian company supplied less gas to be transported to Europe than it had to under the agreement). However, taking into account Naftogaz's earlier debt to Gazprom, the latter will have to pay it 2.56bn dollars, which it seems reluctant to do.